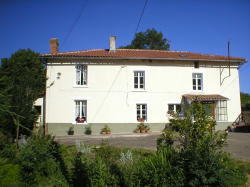 Detached 4 bedroom farmhouse set in 50 acres of privately owned woodland and meadows. This detached 17th century French farmhouse enjoys privacy and tranquillity with far reaching views over the Limousin countryside. The private pool terrace invites you to sit and relax whilst sipping wine and watching the beautiful sunsets. In the evening you can sit and watch the deer and wild boar feeding and playing in the adjoining fields. The property is well furnished and generously equipped. The sitting room features exposed beams and a wood burner set in the original stone fireplace as well as traditional French furniture. 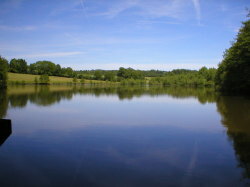 Make the most of your holiday by basking in the sun on the terrace, dining alfresco or even fishing or boating on the private fishing lake (equipment hire available). Set in the heart of the Perigord-Limousin National Regional Park the abundance of wildlife is a joy to watch. Children are very welcome and noise is never a problem. You will find a selection of toys, books and games to please all ages. For those with very young children a cot, a highchair and a pushchair are available. A babysitting service can also be booked for those evenings that call for quiet candlelit dinners. A welcome pack of local wine and produce awaits you.